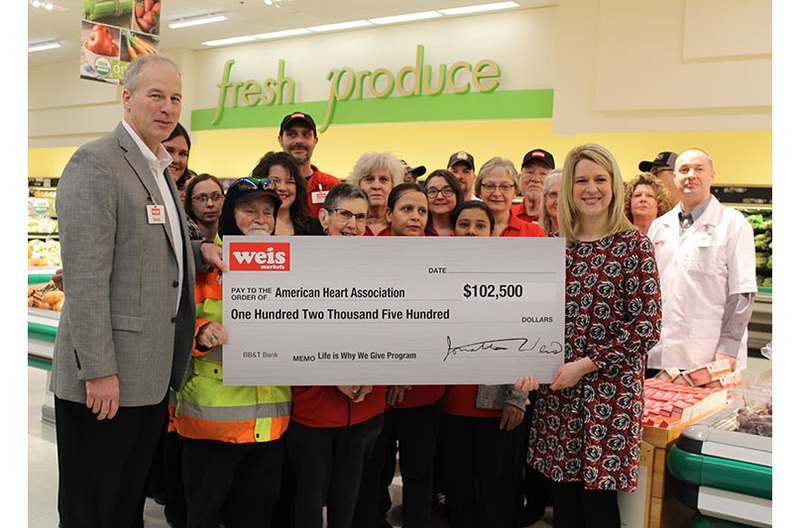 Weis Markets donated $102,500 to the American Heart Association (AHA) in support of the in-store “Life is Why We Give” program, which raised funds in the fight against heart disease and stroke. This donation was generated through customer contributions during a two-week, in-store fundraising program during American Heart Month in February. Sunbury, Pennsylvania-based Weis Markets’ stores raised nearly $92,000, and a corporate contribution rounded up the donation to $102,500. To support the initiative, the company and associates encouraged customers to make small donations at store checkouts by rounding up their orders or purchasing $1, $3, $5 or $10 vouchers. The funds raised will be used to support heart disease and stroke prevention, including nutrition education in Weis Markets’ seven-state market area. Gose and representatives of the AHA were on hand for the check presentation at the Linglestown Road store in Linglestown, Pennsylvania, which raised over $2,200 for the program; the largest amount for any Weis store. Harry and Sigmund Weis founded Weis Markets in 1912, when they opened a small neighborhood store known as Weis Pure Foods on Market Street in Sunbury, Pennsylvania. Today, Harry’s grandson, Jonathan, oversees a company with stores in Pennsylvania, Maryland, New York, New Jersey, Delaware, Virginia and West Virginia. The company employs more than 19,000 associates in stores, distribution center, corporate office and manufacturing facilities. The company supports local farmers. In Pennsylvania alone, the company annually buys more than 20 million pounds of locally-grown produce purchases local produce in all of the states where they have stores. The company and its associates are committed to being good neighbors. 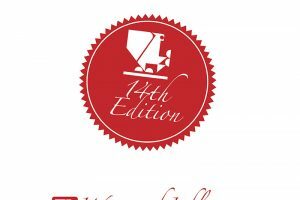 Each year, they support local food banks and food pantries through Weis’ Fight Hunger program.